The Electronic Entertainment Design and Research Analyst Services company (best known as EEDAR) partnered with gaming website IGN and game video streaming site GameTrailers to gauge the consumer anticipation for the games coming out of E3. The companies ranked the games and companies in four major categories-- page view share amongst publishers, and IGN page views, GameTrailers video views, and the intent to purchase games, which is measured through IGN's GamerMetrics service. 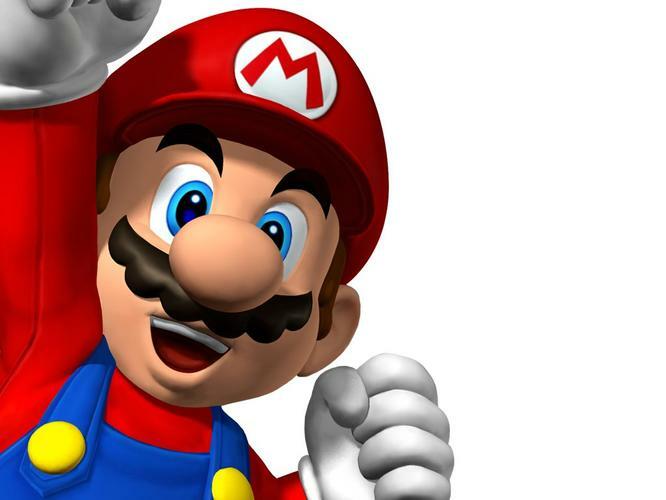 To answer the most prominent question raised at the show each year, Nintendo won the show in terms of capturing consumer attention, as the company grabbed the largest share of the audience at 16 per cent, moving it up from second place finish after E3 2009. A big factor in Nintendo's web dominance at E3, besides the debut of the 3DS, was the unveiling of The Legend of Zelda: Skyward Sword. The newest game in the series was the most highly-hit game on IGN during E3, beating out the Kinect product by roughly 7 percent. Microsoft needn't be disappointed in the results, as five first-party Kinect titles landed in the top twenty, along with third-party Kinect exclusive Dance Central and non-Kinect title Gears of War 3 topping a million page views. Sony, on the other hand, had very little web presence in terms of its exclusives, as PlayStation Move rounded out the top ten traffic-getters. Perhaps the company can take solace in the fact that any readers looking up the fourth-ranked game, Portal 2, were greeted with information about the game's potential PS3 dominance. EA, the biggest traffic-garnerning company at last year's show, slipped to third with a three percent drop in attention from gamers, putting it tenths of a percentage point behind Microsoft. The biggest loser in terms of attention was Activision, as the company decided to forgo a presence on the show floor and a press conference proper in lieu of a concert event in LA before the show kicked off. With little in the way of access during the rest of the week, Activision lost four percent of its web-viewing audience from last year. On the video front, Assassin's Creed: Brotherhood managed a strong showing, topping Metal Gear Solid: Rising by a small margin. Nintendo managed little success in the arena of video views, as the non-HD Legend of Zelda: Skyward Sword was the only game from the company to land on the video rankings, and the inability to see the 3D visuals being pumped out by the Nintendo 3DS relegated the system to a 12th place video finish. Activision did manage a measure of success in this category, as Call of Duty: Black Ops was the fourth most viewed game on GameTrailers and World of Warcraft Cataclysm finished in 18th pace. While capturing eyes on the internet is a commendable feat, the real goal of all of these companies is to get gamers to purchase their wares. In that regard, Assassin's Creed: Brotherhood notched another surprise victory, as it was garnered the highest purchase intent numbers of any game at E3. Nintendo did well for itself too, with three games in the top 10 -- a feat made more impressive when considering that all of the companies games in the top ten were unknown to the public before E3. Activision fared surprisingly well as its press conference showings of Call of Duty: Black Ops and Goldeneye 007 likely led to the games notching a 3rd and 7th place ranking, respectively. Do you agree with EEDAR's research results? Did Nintendo and Zelda have the biggest presence at E3?